SF Taxi Media: A Message From SFMTA Taxi Services Division: Regarding Traffic Tickets and Taxis. 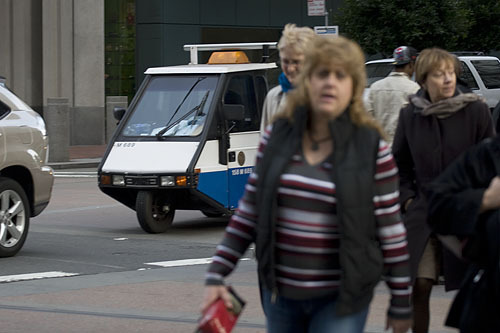 A Message From SFMTA Taxi Services Division: Regarding Traffic Tickets and Taxis. This message was forwarded by SFMTA Taxi Services Division via email and is now being forwarded through this blogsite Taxi TownSF. "We are advised by our Enforcement staff that if you encounter a particular Parking Control Officer who seems to be acting unreasonably, that it is important to communicate that information to us at the SFMTA, INCLUDING that person’s badge number or the citation number and the reason why you consider the person’s behavior to be unreasonable. With this information we can follow up with particular PCOs with counseling when necessary. Please try to limit your complaints to citations that are clearly unjustified and we will work with you to reduce the incidents of such citations. Thank you." Thanks for sharing. This is great information. if you are looking for taxi Services. Contact us. We have around 20 years of experience and have always maintained high quality standards. We offer the taxis in Littlehampton, Bognor and Chichester.